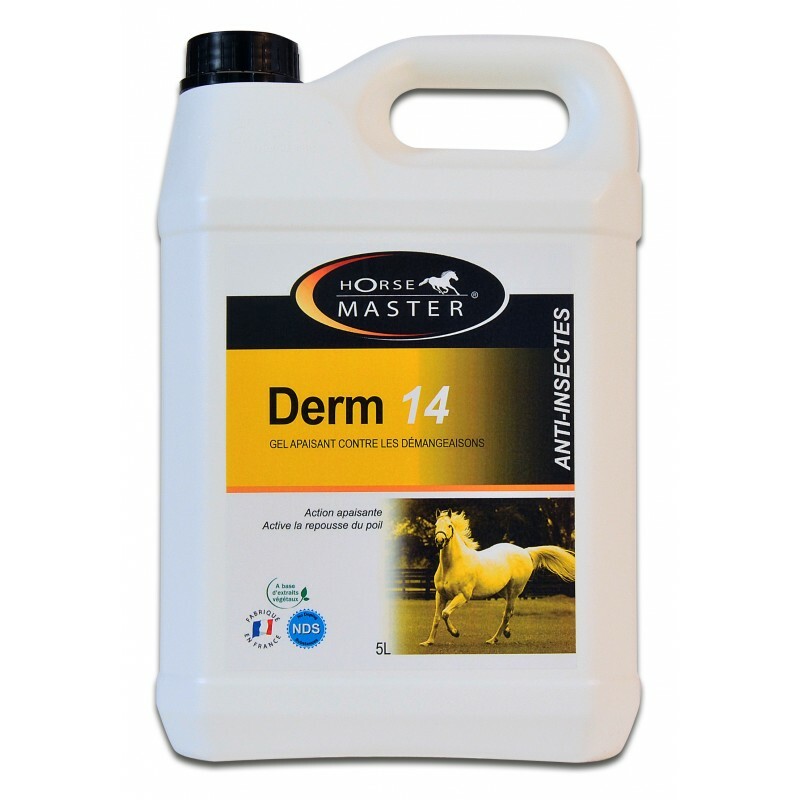 DERM 14 is a non greasy external gel to help prevent your horse from being driven into a damaging cycle of itching, scratching and rubbing, particularly in the mane and tail. Put a large dollop of DERM 14 in the hollow of the hand, then coat the base of the mane and tail. Massage thoroughly to achieve adequate coverage. 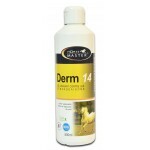 Apply 2 or 3 times daily for the first week, then space gradually to arrive at one application per week. Weight 500 ml et 5 l.